This boat is very clean and has it all. 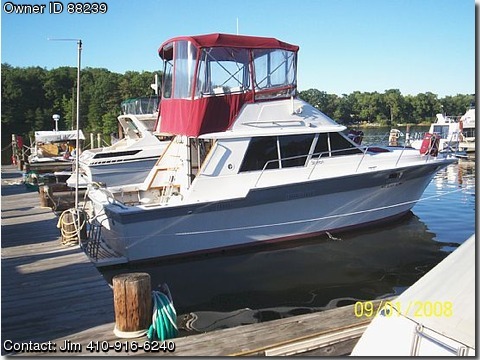 2ea new motors fresh water cooled with only 330hrs also has fresh water cooled 7.5KW Koler generator Garmen GPS and fishfinder VHF radio and sterio with c/d player TV cold and hot water with 12gal hot water heater S/S tank .45 gal fresh water tank. Onboard charger.2ea heat pumps for air cond and heat one for front salon.Equiped with a set of davits to haul raft or light boat. Full bath wih shower and holding tank.